Bali freediving is about connection, not competition. We like to think that the place where you freedive affects how you freedive and East Bali vibes are pretty relaxed. Why else do we believe Bali is one of the best places to learn freediving, this beautiful cross between a science and an art? it’s in warm and clear water. It’s in water rich with fish-life and beautiful corals. It’s close to shore, with wonderful drop-offs a 3 minutes swim. It is in water with a variety of accessible shipwrecks to play on. We could go on, but you get the idea. Having taught freediving on Bali since 2010 we’re pretty biased so why don’t you come and make up your own mind.. 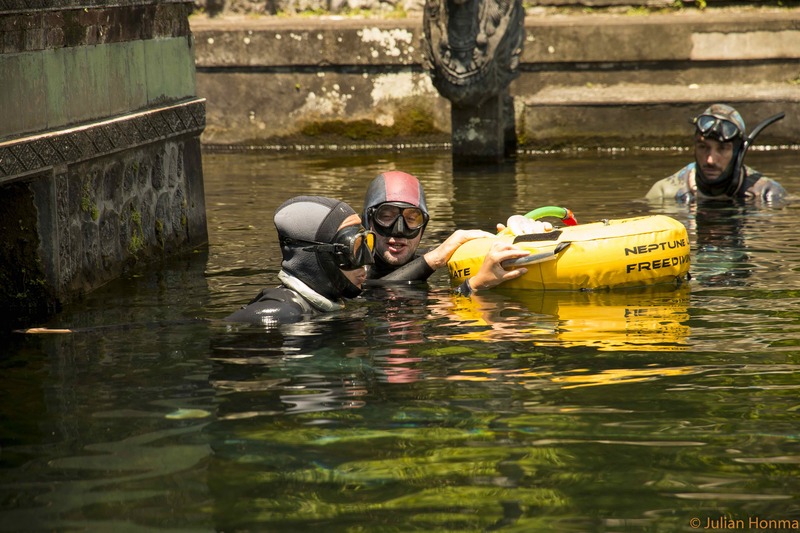 But for those who’ve wandered on this page looking for a free SCUBA course… what is freediving ? The simplest definition means to hold the breath underwater. This could be for any reason, spearfishing, competition or the sheer joy of free underwater movement. Humans have been freediving since the very start of the human race, but in recent years what humans can achieve without breathing has become truly remarkable, with dives deeper than a 100 metres happening regularly and a world record static breath hold at over 12 minutes. In the 1960s, doctors predicted that any freediver attempting to dive deeper than 60 metres would have their lungs crushed by the pressure and certainly die. So, how is it that freedivers have reached the 200 metre mark and beyond? And how is it that the average person finds it hard to hold their breath for more than a minute, yet the world record for a breath hold is well over 10 minutes? The answers to these questions lies in understanding the Mammalian DiveReflex (MDR). The MDR is a series of processes which reduce the use of 02 and conserve it for use by the vital organs. It is actually a combination of various reflexes. Though not everyone can learn to dive to 200 metres, or hold their breath for 10 minutes, the good news is that everyone can train their dive reflex and see dramatic changes over time. We can consider this survival mechanism as a muscle that can be trained and strengthened with practice. Due to the remarkable plasticity of the human being; something that for beginners on dry land that can feel desperately unpleasant becomes for the free-diver a source of great joy and satisfaction. In humans, bradycardia can be triggered by facial submersion in cold water, holding the breath, abdominal contractions, diving to depth and high C02 levels and low 02 levels. In the case of facial immersion, immediately upon contact with water cooler than 22C, the human heart rate slows down as low as 50 % of normal rate, to 30 beats frequently. Some freedivers have reported as low as 10 beats a minute. Bradycardia increases in reaction to decreasing 02 levels and increasing C02 levels. On very deep dives, or towards the end of long static breath holds, the heart rate has been reported to slow to 25 or 30 % of normal rate. This causes capillaries in the extremities to start closing off, limiting blood circulation to those areas. The capillaries contract and restrict the circulation of blood first, in the toes and fingers, then hands and feet, and lastly arms and legs, leaving more blood, and thus more 02, for the heart, lungs and brain. On longer dives the arms and legs will be forced to work an-aerobically, meaning they use less 02. There is a strong relationship between bradycardia and vasoconstriction: the stronger the vasoconstriction, the slower the heartbeat. The spleen is essentially a blood filter and plays an important role with regards to the immune system and 02 carrying red blood cells (RBC). It removes old red blood cells and holds a reserve of blood which releases on long breath holds. The spleen has been observed to compress by up to 50% releasing blood rich in red blood cells (RBC) and increasing RBCs in the blood. This means that after splenic contraction, during the surface interval, more 02 can be absorbed by the body. When diving is finished the spleen gradually reabsorbs the red blood cells, after about 10 or 20 minutes. On shallower dives there are no special considerations for the freediver. But when a diver goes below certain depths the lungs compress below anything that endure above water. To accommodate this negative pressure this cappillaries around the alveoli expand and fill with blood. It is this incredible adaptation that allows freedivers to reach the depths they now so easily do. All of these physiological elements are important in creating improved freediving ability, but probably the most important is the mental aspect. Learning to understand the games the mind plays and how you can ‘play’ your own mind. That is the aspect we consider to be most important at Apneista, freediving as an exploration of mind/body connection in the ocean. Our freediving courses (from basic to instructor level) are personalised and aim to find a balance between the science and the art of freediving. As the first freediving school in Bali, we were lucky to get the ideal location for our high-intensity/ low-stress courses. Come check us out..
We run workshops and lectures on a regular basis, with an emphasis on solid science. 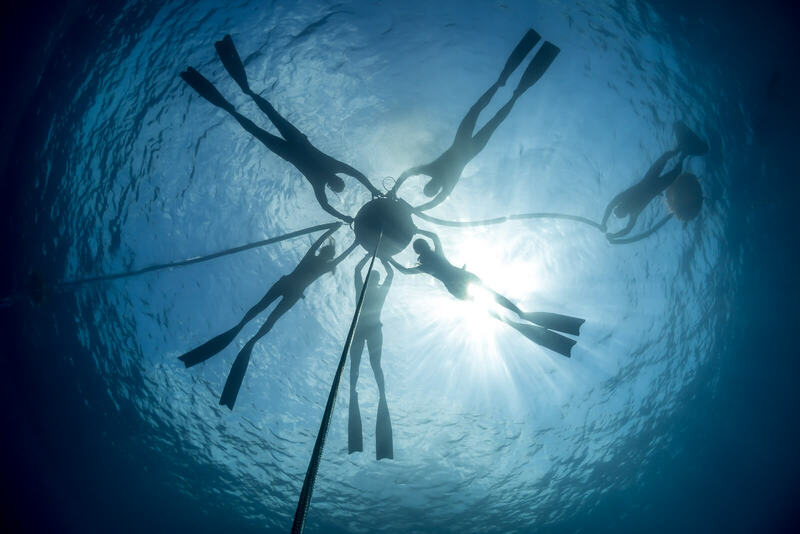 Workhops are mostly related to Freediving, Yoga and Meditation, as we believe these fields are mutually illuminating and offer a fascinating window into human potential. 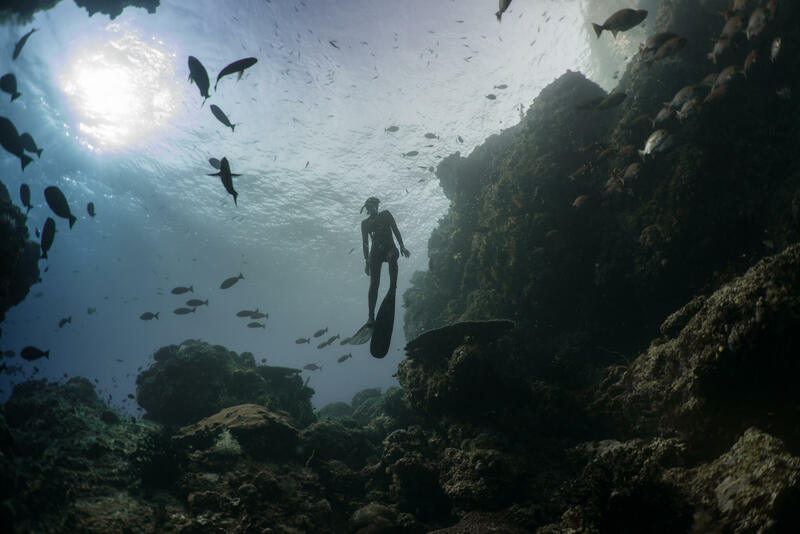 One of the most incredible aspects of freediving is an increased capacity to connect with the nature and life in the ocean. And in Indonesia we have some really incredible nature to connect with. Every year we organise freediving trips to some of the best underwater places on planet earth.